Includes Search and Retrieval, Collaborate with your clients such as via OneDrive, Import from your OneDrive, Comments. 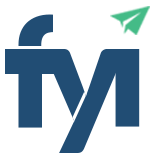 Learn how to use FYI Tasks including delegation, notifications and tracking. Configuration of FYI including cabinets, categories, team and security, and Migration. Configure and activate your automated processes that will transform your practice.